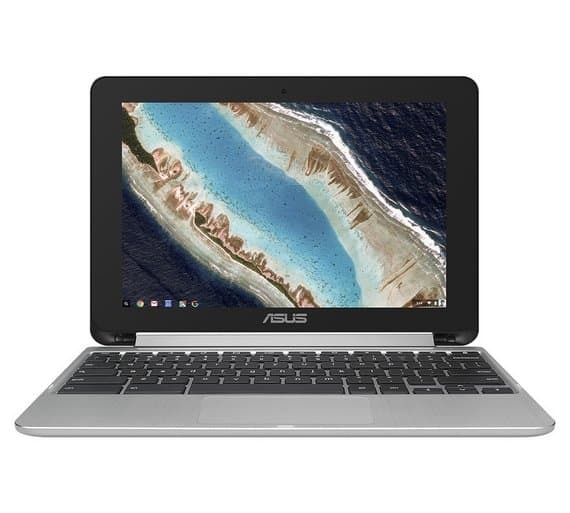 The Asus Flip C101 provides you with a hybrid Chromebook at a very competitive price. 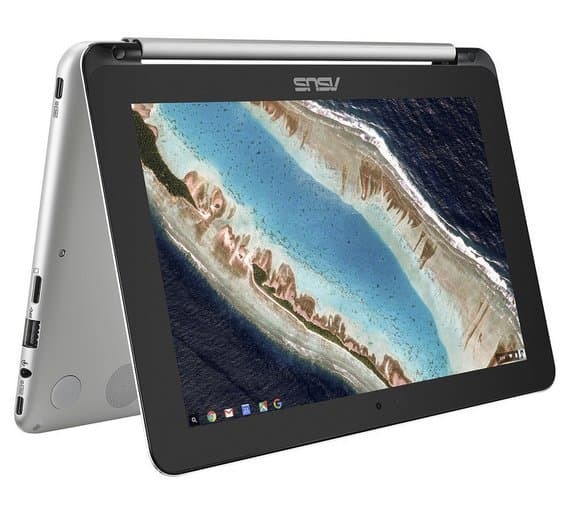 If you’re after a Chromebook that can also be used as a tablet and you’re on a budget then this Chromebook may be right for you. Let’s take a closer look to see what the Flip C101 has to offer. If you're looking for a Chromebook to use both in laptop and tablet mode then this is a great budget Chromebook. It's also ideal for anyone wanting a device to use on the move thanks to its ultra-thin body and weight at just under 900g. The display is also decent and provides a good viewing angle. The memory on offer is good to see for a Chromebook capable of Android Apps. It's just a shame the storage space lets it down. At just 16GB you may struggle if you're looking to install a lot of Android Apps. However, for the price, this Chromebook is a bit of a bargain for a hybrid. The Asus Flip C101 is of good build quality and looks pretty cool with its super thin body and silver design. However, it has a rather large border around the display, which makes any laptop look a tad cheap. The keyboard is relatively nice to use and the touchpad works just fine. However, the touch-screen for use in tablet mode could be a little better. It’s not the most responsive of touch-screens, but you’re getting a hybrid Chromebook at a very reasonable price. I guess you can’t have it all and the price shows this with the touch-screen on offer. When it comes to portability the Asus C101 comes into its own with a weight of just under 900g and is super thin at just 1.5cm. 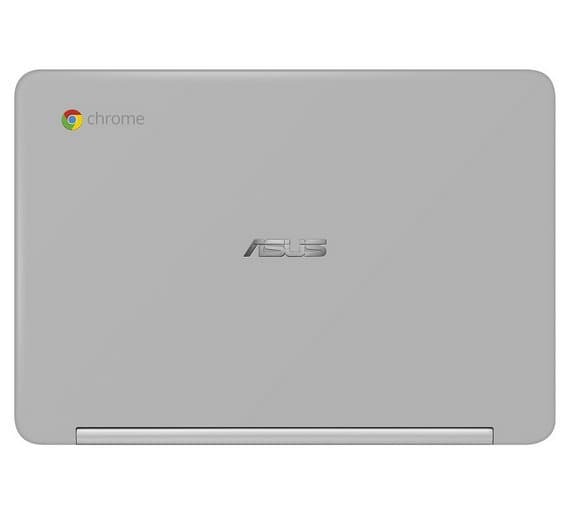 Rather strangely Asus have decided to move away from what you normally see on a budget Chromebook. Instead of offering the Intel Celeron processor they have opted for a Rockchip Cortex A9 RK3399 processor. It’s capable of 2.0GHz and is a processor you would tend to see in tablets rather than a laptop. Perhaps this was the idea behind it as the C101 offers tablet functionality. The Chromebook performs fine for duties such as internet surfing and video streaming. It works with Android Apps without too many problems. However, if you’re looking for a Chromebook that can deal with more demanding tasks then this may not be the Chromebook for you. That being said, the processor performs similarly to the Intel Celeron. 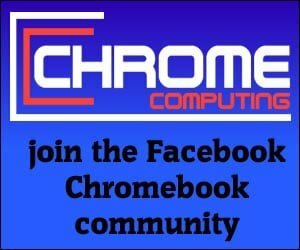 If you’re looking for a Chromebook to cope with multitasking and dealing with huge spreadsheet files. Then you should be avoiding any of the budget Chromebooks on offer today. The Asus C101 comes with 4GB of RAM, which means whether you are internet surfing, video streaming or using the latest Android Apps. You should not encounter any problems with the memory available here. It’s good to see Chromebooks are starting to step away from 2GB. If you’re not intending on using your Chromebook for Android Apps then 2GB may be just fine. However, being that this Chromebook does support Android Apps it’s good to see you get 4GB of RAM. Android Apps running on a Chromebook with 2GB is asking for trouble. The storage space on offer is nothing to write home about. The Asus C101 provides 16GB of eMMC storage. Again, for people who spend most of the time internet surfing then this is fine. However, if you’re thinking about installing a lot of Android Apps. You will soon realise the 16GB of storage on offer just isn’t enough. Sure, you can ensure you save on storage by saving all your work files in the cloud using a service such as Google Drive. This will at least mean you’ll be able to install a handful of Android Apps without a problem. However, it will only be a matter of time before you run out of space. Especially if you install Android Apps that take up a lot of storage space. The good news is the Asus C101 does come with a Micro SD card reader, so if you do run out of space you’ll be able to add more storage without any problems. It’s worth remembering though that card storage is much slower. There is no getting away from it. The 16GB on offer is a problem for anyone wanting to use Android Apps. The Asus C101 is one of those strange devices that comes with a none standard display. The 10-1 inch display comes with a bizarre resolution of 1,280 x 800. You can forgive the fact that a display of this size does not come with 1,080p, but not having a 1,080p display is a sticking point for some people. I guess you’re trading in the 1,080p display for portability, which is fair enough if having a Chromebook to use on the move is important to you. Although the display does not boast IPS you’ll be pleasantly surprised at the viewing angle available. The colours are good yet it’s not the sharpest display in the world. However, it’s good to see that Asus got the viewing angle to work well, which is difficult to get from a display without IPS. This is good to see especially for anyone wanting to use the tablet functionality on offer. The battery life is good and you can get up to 10 hours of battery life. This is really good to see when you consider this Chromebook is definitely aiming at people who want both a laptop and tablet to use on the move. The Asus C101 comes with one USB 2.0 port. There is no need to worry though as it also boasts 2 x USB Type-C ports, which is great to see. Type-C provides much faster data transfer and will be the standard in a few years from now. So it’s great to see on a budget Chromebook. It also comes with WiFi and Bluetooth 4.0, which means you’ll be able to use a pair of wireless headphones to listen to music on the way to work. 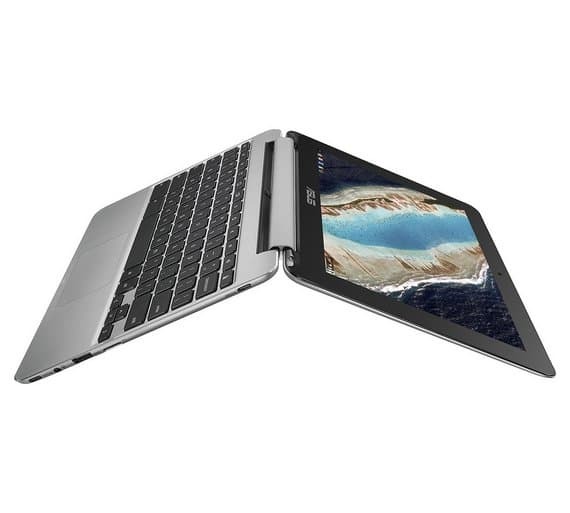 This is a great Hybrid Chromebook for anyone who wants the functionality of a laptop and tablet in one. It’s also perfect for portability thanks to it’s super thin and lightweight body. Although the screen does not offer IPS the viewing angle is good. This is good to see because you could argue the viewing angle is even more important for a Chromebook that can be used as a tablet. The memory on offer at 4GB is enough to run Android Apps and do day to day tasks such as video streaming and internet surfing. The processor is capable of all the tasks you would expect from a budget Chromebook. The only real issue here is the amount of storage space. At just 16GB you may run out of space if you’re intending to install a lot of Android Apps. The touch-screen isn’t the best, but for the price, there isn’t much to grumble at here. Also, when you consider you’re getting a laptop and tablet in one, well, it’s a bit of a bargain. As a owner of the Asus C100PA-DB02(the 1st release of this device) ,I only use Android apps that are not in the Chrome Web Store. I find the Chrome apps work better on the Chromebook than the Android version. If there is a function that can only be done with the Android app, then I will install it. Apps like Kodi,VLC,or Firefox for another browser choice. This has made the 16gb work out fine. I use a 64gb st card for any downloads and movies and music. Any thing else I carry on a usb stick. I agree that more storage would have been better on this newer version in 2018.